Full Access is a membership that gives the user access to everything within Casey RACE including pools, gym, group fitness, spa, sauna and steam room, the warm water pool, slides and programming tailored to improving the fitness, strength and wellbeing of members. 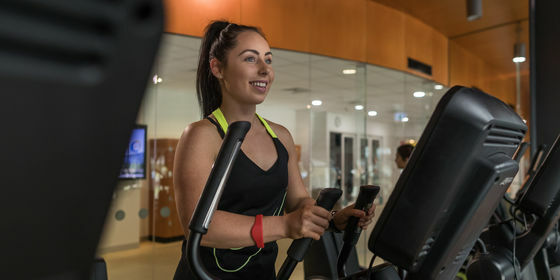 Additionally, the membership comes with reciprocal rights, which means members can access the same services at Casey ARC and the non-aquatic facilities at Endeavour Hills Leisure Centre. Group Fitness- Unlimited access to all instructor-led classes including Aqua Fitness, RPM and all other classes. Gym Consultation - Inductions, personalised programs, technique cues and check-ins. Reciprocal Access - Free access to Casey ARC and Endeavour Hills Leisure Centre. Stadium Access - Free casual shooting at Casey Stadium (subject to availability). Discounts at the Casey RACE merchandise store. We help our members live healthy, active lifestyles. Come for a splash with the family, hit the gym, swim laps or simply shoot some hoops.